After more than ten years of not having any purpose-built residential development, Toronto will finally see 22 affordable housing units, which are to be developed by St. Clare’s Multifaith Housing Society for Kensington’s homeless population. The charitable foundation announced on Dec. 6 that an excavator has already broken ground on the site beside St. Clare’s existing facility on Leonard Ave., east of Bathurst St.
Construction of the three-storey building is slated to commence in the spring of 2018. It is supported by neighbours and funded by government and corporate donors. Companies who have pitched in to finance the affordable homes are: Aspen Ridge, Brown Group, Great Gulf Homes, Greenpark Homes, Heavy Construction Association of Toronto, Laurier Homes, Liberty Development, Lindvest, LiUNA Local 183, LiUNA Ontario Provincial District Council, Mattamy Homes, Menkes, Ontario Formwork Association, Silvercore, Tridel and Yorkwood. Together, these companies and other construction partners have raised $1 million. “We chose to support this project because we believe the construction industry should give back,” said RESCON chairman emeritus Phil Rubinoff. The project will also receive financial assistance from the city through its Open Door Program. 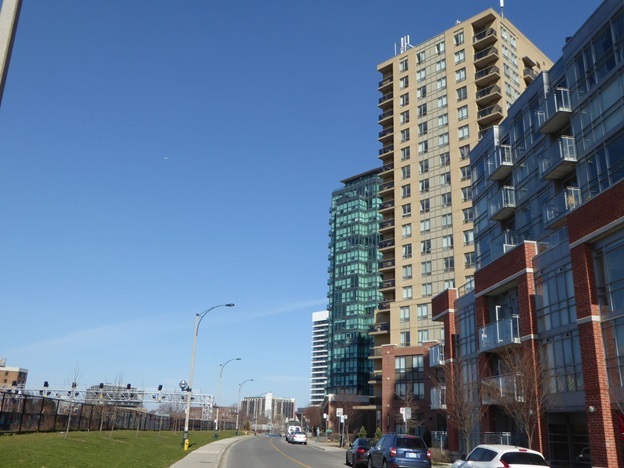 On top of waived municipal fees and development charges, the developer will be given $500,000. “I applaud the hard work and vision of St. Clare’s to make this innovative project a reality. St. Clare’s is a model that works. Their partnership-based approach has created new opportunities for those seeking a safe, clean, affordable place to call home,” said Ana Bailao, Toronto deputy mayor and chair of the affordable housing committee.